If you are someone that you know has special needs, it might be difficult for them to move about in the water and feel safe. For that reason, the special needs or disabled swim nappies are a great invention. With the special needs swim nappies you will find that having fun in the water will not be as dangerous. 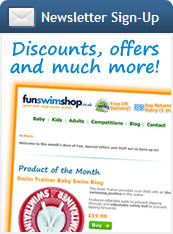 There are several different special needs swim nappies that you can pick from. It is a good idea to look into companies that specialize in these products. They will offer you quite a large variety to pick from, in different colors and styles, so that you will find the one that is best for you. When you use the special needs swim nappies, you can feel confident that you will be able to be in the water without constant supervision. This is ideal for adults that have a disability, as well as for children, so that they can enjoy the water as they wish to. Make sure that you follow the instructions completely when you purchase one of the special needs nappies. You will want to make sure that you use it properly and that you take good care of it. Store it in a dry place when it is not in use. You should also take care to clean it properly when it has been used for the summer season and store it during the winters. The special needs swim nappies are a great bet for many people that are disabled or who have family or friends that are. Make sure that you have one at your home if you have a pool. You will want to make sure that any disabled people can enjoy the water when they are at your home.